Virtual Reality is up and coming but it still has some challenges and one of those is surprisingly a keyboard! Typing in VR is incredibly hard and that’s also why you don’t see any keyboards yet. Therefore Logitech has decided to do something about it. 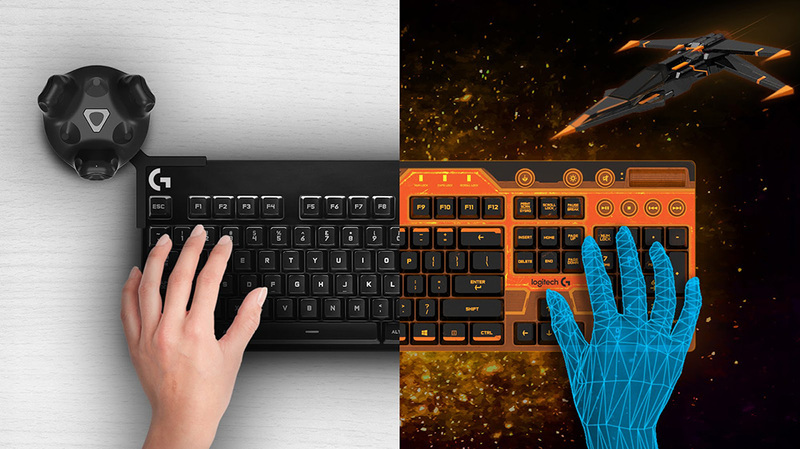 The equipment is made up of three elements: a keyboard, a sensor to reveal the place where the keyboard is and an SDK to let devs play with it. It really works with the HTC Vive and brings your keyboard and your fingers into the digital world as you can see in the video. Still, you have to wait, it’s simply an experiment for now. Introducing the Logitech BRIDGE developers kit, an SDK aimed at helping App makers and SW developers solve the problem of text entry in virtual reality.